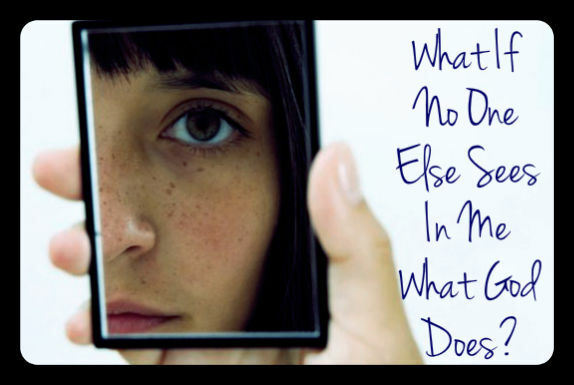 What If No One Else Sees In Me What God Does? 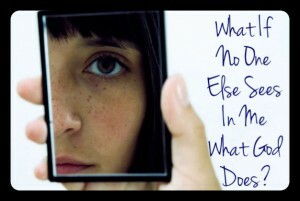 What if no on else sees in me what He does? I have fervently prayed every day for God’s direction and “Organized Steps of Action” and since July, God has given me a list of 8 steps. However, what I’ve found is that when God calls us to obedience and the “next step”, we often aren’t sure how to take the next step. What if we take that step and it doesn’t go like we thought? We want to trust God, but let’s be honest, it’s scary. Jesus had just dropped a bomb on them. He was going away and the disciples had so many questions. They were accustomed to a certain way of doing things WITH Jesus. Now, He’s telling them that He’s leaving. Can you imagine their questions? Can you imagine their fear and insecurity? He was guiding them towards the next step in their journey. Where do we go when we have questions? What do we do when the Pharisees try to trick us? What if no one else sees in me what He does? There was the question. The question I believe we all face as we walk on this adventure of faith with Jesus. As Jesus begins to give you a glimpse of what He sees when He looks at you, do you find yourself stunned, even embarrassed? Jesus’ message to His disciples, and to you and me, is that it’s not our strength or power that will transform us. Yes, we make changes. Yes, we open our scabbed and broken heart to His tender touch. Yes, we allow Him to move us in uncomfortable directions to discover new paths–and leave old ones behind. But we can stop stressing, because…it’s a partnership. You and God–and He’s bigger. Have you considered taking “the next step” with Jesus–a giant leap of trust? Maybe you’ve walked up to the cliff ready to jump and backed away. Don’t forget that God isn’t unaware of your fears or your failed attempts. He gets it…you’re scared but He’s there ready to catch you, ready to show you more about Himself and even the really fantastic things about yourself that you may not even know yet. Take the plunge…He’s right there. He’s got ya! Question: What heart question do you find yourself asking in regards to your relationship with God? I have been wondering what it is He wants me to say to others.. What is the Message He has written on my heart that He wants me to share. I get stuck at times and mostly it is fear.